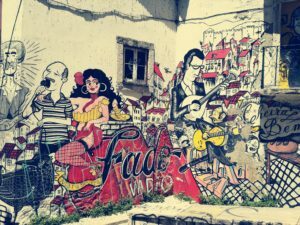 Lisbon – home to fado, ceramic tiles.. and street art! We present you Lisbon seen with a brand new eye: its street art, our favourite museums and a secret paradise just half an hour from the city. 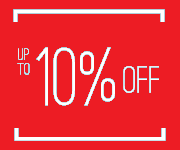 Breath-taking destination for your Portuguese course! What is the picture you see in your head when thinking of Lisbon? Yellow trams in narrow streets, pasteis de nata, red rooftops on white buildings seen from any of the many viewpoints in the old town? All these symbols themselves are worth checking but…he city of seven hills is so much more than this! Getting lost in the centre can provide you with surprises..and this is thanks to the omnipresent street art. A stroll through the little streets near the São Jorge Castle is highly recommended to spot one the most interesting street art examples. Coming up from Rossio, on a series of facades, Fado vadio has been portrayed. It has been a natural choice since we are close to the neighbourhoods of Mouraria and Alfama, birthplace of this World Heritage song. Near Marquês de Pombal area, where 2 of our Portuguese language schools are located, you can spot 3 buildings with large paintings on them, that give a brand new look to this part of the city. The roundabout Marquês de Pombal marks km 0 Lisbon and it is the meeting point of the main avenues of the city. 2 of our 3 Portuguese language schools in Lisbon are located just 5 minutes walking from the roundabout. You cannot miss these fine examples of street art, they will for sure make you stop and observe! Whether you are a fan of flea markets or not, it is worth walking down the area the Feira da Ladra (in Portuguese “thief market”) normally takes place on Tuesdays and Saturdays. On the way you can have a look at one of the Lisbon’s most recent urban acquisition, a tile mural of André Saraiva that illustrate a world where the cities of Lisbon and Paris meet. It is almost 188 metres long and it’s made with over 52 thousand of ceramic tiles. 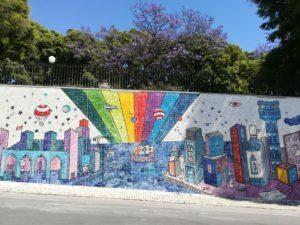 Also in other parts of the city like Graça, Belém, Mouraria you can enjoy the sights of various examples of street art that adds to the magical charm of Lisbon. Enjoy your stroll! Ibérica Languages favourite spots, that is 2 museums that can’t be missed! Some of the bloggers call it a hidden gem, but it’s no longer that unknown. The Azulejo National Museum, is located in the old convent of Madre de Deus. 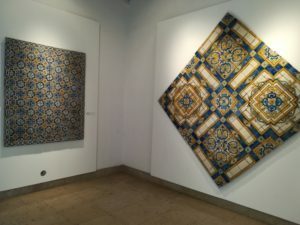 The museum collection features decorative ceramic tiles or azulejos from the second half of the 15th century to the present day. You can understand the evolution of tile in Portugal throughout the history as well as admire some of the finest examples of tiles from different centuries, including the fantastic church inside. The museum has a lovely green terrace and a restaurant. If you are a fan of Portuguese tiles, you should also try street tile hunting in the districts of Alfama, Baixa, Chiado and Principe Real, success is guaranteed! Inscribed in 2011 on the list of the Intangible Cultural Heritage of Humanity by UNESCO, Fado is a symbol of identity, it represents a distinctly Portuguese multicultural synthesis of various music genres, starting from Afro-Brazilian roots, local urban song patterns as well as rural music of the early nineteenth century. Immerse yourself in the bittersweet melodies at the Fado Museum. This engaging venue traces fado’s history from its working-class roots to international current fame. Entirely devoted to Lisbon’s urban song, it was opened in 1998, highlighting Fado’s exceptional value and its deep roots in the tradition and cultural history of the city of Lisbon and the entire country as well as its role in the Portuguese cultural and national identity statement. There are plenty of other museums that are maybe lesser-known but definitely worth visiting like Money Museum, Water Museum, Carris Tram Museum and Electricity Museum. You probably heard of the nearby famous towns of Sintra and Cascais. Both are charming, yet often visited and packed with tourists at some points of the year. If you want to escape from the city and look for a stunning yet calm and not so crowded place, then Park of Arrábida (Portuguese: Parque Natural da Arrábida) is your place to go! 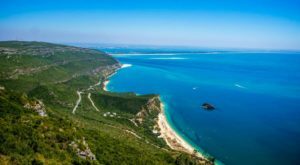 Less than one hour south of Lisbon, the park offers breathtaking coastal scenery, where the blue of the sea alternates with the white tones of the chalk cliffs and the depths of the green vegetation that covers the mountain range. The highest point is in the Serra do Risco, a magnificent cliff 380m high. Good ways of getting to know this pristine place are by hiking or cycling the waymarked footpaths. Portinho da Arrábida is considered one of the most beautiful villages in Portugal and also one of the most beautiful beaches, it is a place with unique flora and fauna to be discovered in the clear waters. 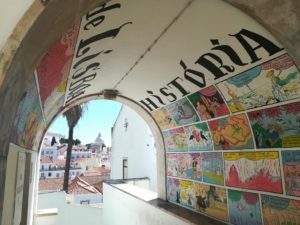 All we mentioned above, the urban street art, museums and a stunning natural park just next to the city, adds to Lisbon well known hot spots and well established routes. 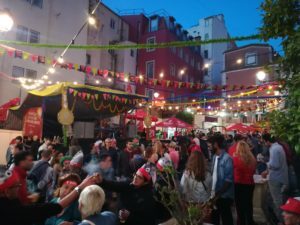 One of the best times to visit Lisbon is early June, when all the city celebrated the festival of its patron saint, Santo Antonio. The official celebration takes place on June 12th and the preceding night, but during the whole month you will see streets dressed up in colourful decorations, sardines being grilled in every square and happy inhabitants of Lisbon dancing, singing and enjoying life in one of the most delightful cities in the world.